Shirley passed away peacefully on Sunday, January 27, 2019 at the Dr. Everett Chalmers Regional Hospital. She was 80 years old. 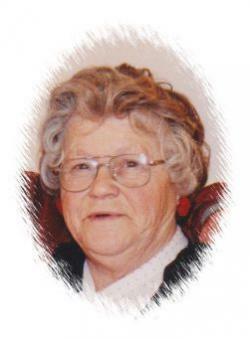 She was a member of the Upper Kingsclear Baptist Church. Shirley was born in 1938 in Saskatoon, Saskatchewan. After marrying her husband Ivan in 1954, they spent most of her life in Oakville, Ontario and retired to Kingsclear in 1983. Shirley was predeceased by her husband Ivan in 2009. She is survived by her son Troy of Ontario; sister-in-law Lorna Kneebone of Guelph, Ontario; several nieces and nephews; also special nieces Anne and Darlene. Visitation will be held at the Upper Kingsclear Baptist Church, 15 Mazerolle Sett. Rd., Upper Kingsclear on Thursday, January 31 at 1:00 PM followed by a funeral service at the church at 2:00 PM with Rev. Allan Myshrall officiating. Interment in the Prince William Cemetery at a later date. In lieu of flowers, donations can be made to the Upper Kingsclear Baptist Church or to a charity of one’s choice. The family would like to thank the staff at the Birch Grove Unit at York Care Centre for their excellent care of Shirley.